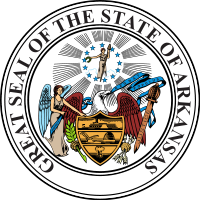 A little less than a year ago, the 88th Arkansas General Assembly created HB 2033, later known as Act 1050 [pdf]. The law made a few changes to the Telecommunications Regulatory Reform Act of 1997 and, while “a few changes” may not sound like much, they don’t need to be much in order to have a significant effect on the prospect of municipal broadband in Arkansas. The language gets specific about municipal broadband, related services, and alters the possibilities in Arkansas. Prior law prohibited any government entity from offering, directly or indirectly, basic exchange services. So, an Arkansas town couldn’t create its own telephone company that offered the traditional concept of telephone service, as defined in statute. Act 1050 expands the prohibition to data, broadband, video, and wireless. With the exception of those owning municipal electric utilities or cable television systems, Arkansas towns are now prohibited from offering broadband services to nonpublic entities. Prior law allowed an exception for government entities owning municipal electric systems or television signal distribution systems to be able to make telecommunications capacities associated with the facilities available to the public. Offering basic local exchange services was still prohibited. Act 1050 actually opens up the uses of those networks that may have been created for the use of the electric system or television signal distribution system. The new language adds permission to use those capacities to provide, directly or indirectly, voice, data, broadband, video, and wireless. There is even an insertion that allows for like use in future constructed or acquired facilities. Reasonable public notice and a hearing are required, which is the normal course of action before making new investments. Prior law allowed exceptions to the restrictions for some government entities’ ability to create their own networks for specific purposes. Emergency, E911, and 911 were not subject to the restrictions. Act 1050 adds law enforcement services to that list. Medical institutions and higher ed institutions are also given an exception to the restrictions, as long as the telecommunications services are strictly for medical, academic, research, and healthcare information technology. This is different from the past law, which used the broad “educational institutional” label. New in Act 1050 is an entire subsection that lets government entities know that they can choose to purchase voice, data, broadband, video, or wireless telecommunications services from a private carrier even if the local government is operating a network that could serve them. The new 2011 exception creates an environment that expressly allows municipal electric and cable television systems to provide a number of telecomunnications services, including broadband. However, the law is also more clear in preempting local authority for communities that do not own electric or cable television systems. The law permits municipal electric and television utilities to offer "voice" services but continues to ban "local exchange services," an unclear distinction. We read it to suggest that the munis can offer basic VOIP but may face lawsuits if they do much more. People like the convenience of paying for internet, television, and phone all in one bill and the large telecom companies know it. Without the ability to offer basic exchange services, municipal networks may be at a strategic disadvantage relative to private competitors. Because of the continued ban on providing basic exchange services and the contradictory exception to allow "voice" services, the future is unclear. It is often this very ambiguity that prevents communities from considering creating their own networks. While not coming out and banning municipal networks, Act 1050 continues the hostile environment for publicly owned networks. However, there is now a fairly clear path for muni electric utilities to build the networks communities need, if they so choose.